Woodside Park has announced the service fees for its trio of star stallions with Written Tycoon, off the back of record-breaking yearling sales results, having his fee increased to $88,000 (incl GST). The announcement comes on the eve of the Inglis Easter Yearling Sale where it is expected sons and daughters of Written Tycoon as well as their first crop sire Zoustar are expected to attract high prices. Written Tycoon is the reigning Champion Australian Two Year Old Sire, the Victorian Champion Sire and sire of the 2016 Magic Millions 2yo Gold Coast Classic winner and 2016 Golden Slipper winner. Written Tycoon’s yearlings averaged $307,500 at January’s Magic Millions Gold Coast Yearling Sale, a sale-leading 22 times his service fee. His highest priced yearling at Magic Millions was $650,000 while a yearling colt attracted $500,000 at the Inglis Premier Sale. He has been a sire in huge demand among broodmare owners particularly during the past two seasons in which he has covered 184 mares in 2015 and 224 mares in 2016. Zoustar was the fastest and highest rated sprinter of his generation winning the stallion making Group 1 double in the ATC Golden Rose and VRC Coolmore Stud Stakes. He has covered an average 170 mares in his first three seasons at stud. 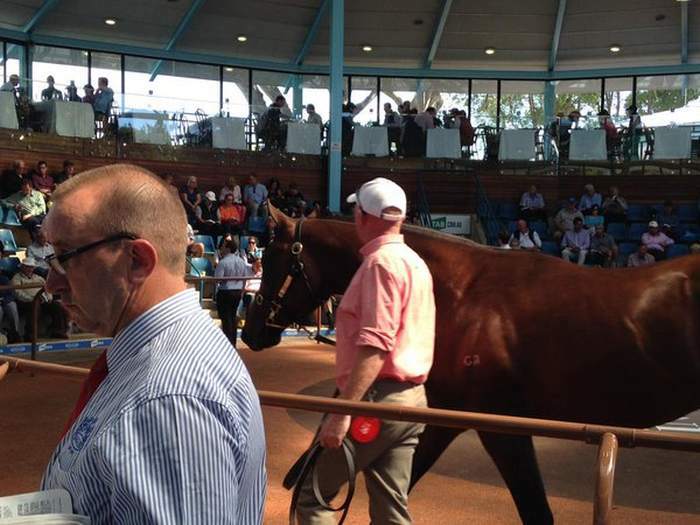 Zoustar’s progeny made their yearling sale debut on the Gold Coast and averaged $265,156. His top priced yearling sold for $550,000 with a further 22 yearlings selling for $200,000 or greater. Zoustar’s service fee remains at $44,000 (incl GST). The new addition to Woodside’s Tylden stallion barn is Rich Enuff, the highest rated son of Written Tycoon. He made his breeding debut in 2016 at Glenlogan Park in Queensland covering a super book of 124 mares. The Ken Keys trained colt burst onto the scene as a three-year-old winning the Group 2 Danehill Stakes down the famous straight six at Flemington. He still the holds the record time for a three year old colt at the track over the 1200 metre distance. That performance was followed by a win in the Group 3 Caulfield Guineas Prelude over 1400 metres and then a gallant runners-up effort in the Group 1 Caulfield Guineas. 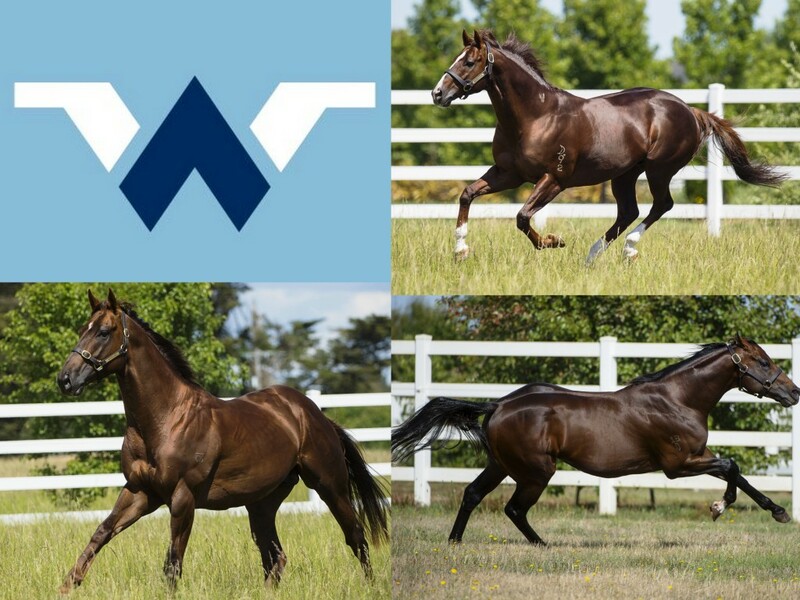 For more information on the Woodside Park Stud stallions visit the Woodside Park website or contact Matt Tillett on 0423 074 249 or matt@woodsideparkstud.com.au. Adam Sangster of Swettenham Stud and the owners of Rebel Dane and are delighted to announce that the dual Group One-winning stallion will stand at Swettenham Stud from the 2017 season. 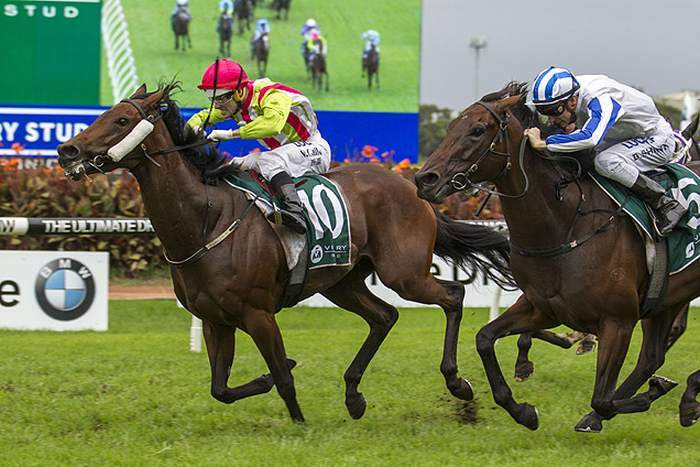 His Group One wins have come in the Manikato Stakes and the Rupert Clarke Stakes. After his magnificent win in the $1 million WFA Manikato Stakes last October, Rebel Dane contested the Hong Kong International Sprint, where he was beaten just over four lengths after a wide run in a race that was rated one of the best International Sprints in 2016. He has been a high-class racehorse for several seasons and the opportunity to stand him at Swettenham Stud was enthusiastically accepted by Rebel Dane’s owners. 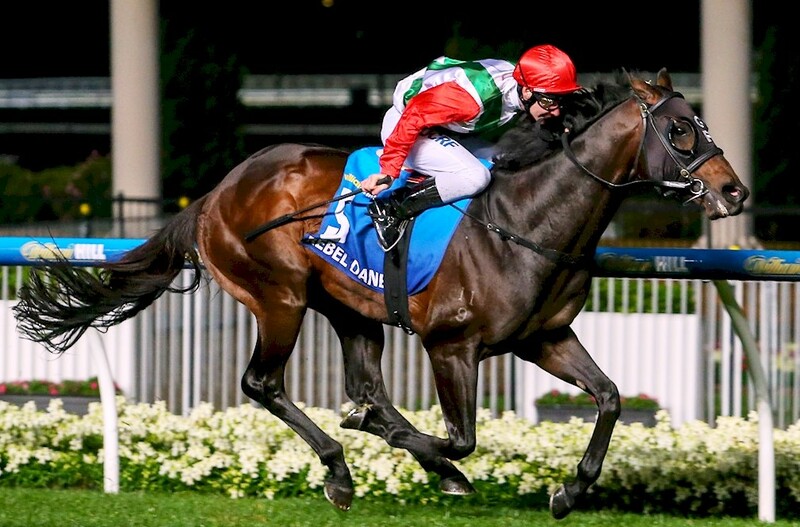 “Standing Rebel Dane in Victoria was a natural fit as the horse has won his two Group Ones there and a number of Victorian Studs expressed interest in him. Adam Sangster was equally enthusiastic. 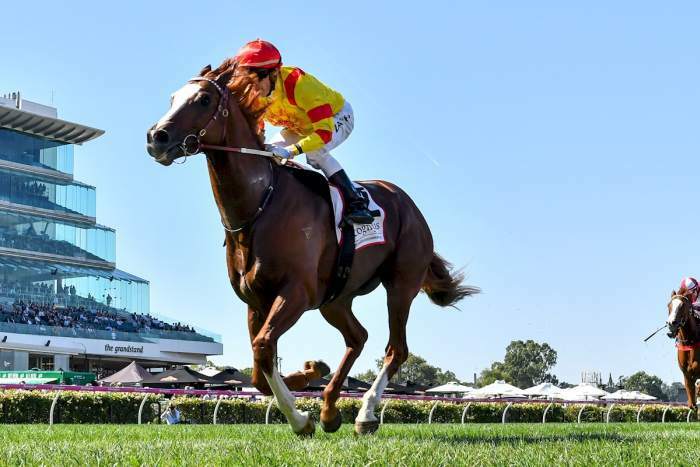 ‘The opportunity to access a dual Group One-winning sprinter is rare for Victorian breeders, especially the winner of one of our iconic sprint races the Manikato Stakes. “We were keen to get the stallion for Swettenham Stud and Victoria and were delighted when the owners agreed. Trainer Gary Portelli was also effusive in his praise. Rebel Dane’s career earnings to date are currently more than $2.4 million. His wins aside from his Group One victories include the Group 2 The Shorts, Group 2 Royal Sovereign Stakes and Group 3 Show County. He has also been placed nine times in Group One or Two company highlighting what an exceptional sprinter he is. By California Dane, Rebel Dane is bred on the Danehill/More Than Ready cross and, as a Group One sprinter, should make an exceptional VOBIS stallion. Pakenham maiden to Group 1 glory in 23 days! It’s amazing what can happen in just 23 days as seen when the Rosemont bred filly Montoya’s Secret graduated from a Pakenham maiden on 2 March to winning the Group 1 Vinery Stud Stakes at Rosehill on Saturday. Having her first start in stakes company, her first run on a heavy track and first run over 2000 metres, the Leon and Troy Corstens trained filly fought strongly to the line to hold off a determined bid from the fast finishing Nurse Kitchen. “It’s an amazing win for the farm, we did not see this coming a month ago, just unbelievable,” said Rosemont Stud principal Anthony Mithen. It has been a meteoric rise for Montoya’s Secret (High Chaparral), following her Pakenham win and then an easy Benchmark 64 win at Moonee Valley on March 13. “She has always been a lovely filly and it has been a great ‘Group Effort’ to get her to win that Group One,” said trainer Troy Corstens. “She was born, bred and raised down at Rosemont Stud which is building a fantastic reputation and the winners just keep coming from the farm. Rosemont Stud brought the mare, Divine Secret, in foal with Montoya’s Secret (for a mere $70,000!). “Divine Secret has played a big part in bolstering our broodmare band. If we get a nice filly form these well-preformed mares we will hold on to them to race ourselves. Rosemont sold Montoya’s Secret as a yearling at the NZB Premier Sale where she was purchased by Bahen Bloodstock/Malua Bloodstock for $130,000. 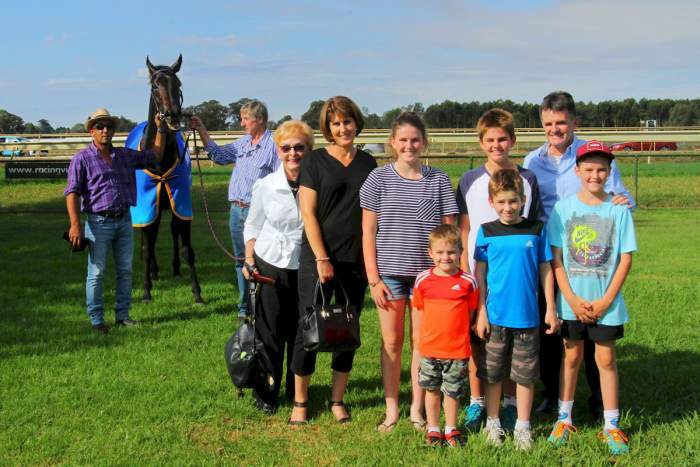 “We were lucky enough to retain a share along with our great friends Ed and Libby McKeon (Palya Bloodstock),” Mithen said. Montoya’s Secret is a half-sister to Group 3 winning stayer Delago’s Secret and stakes-placed Secret Delight. Divine Secret (Thunder Gulch (USA)) is herself Group 1 placed and is a daughter of stakes-winner Prayerful. She has a yearling colt by Starspangledbanner and was covered last year by Rosemont’s resident sire Toorak Toff. Woodside Park’s star gang back together! The arrival of star speed sires Zoustar and Rich Enuff back at Woodside Park has put a further spring in the step in the staff at the Tylden stud. With the continued phenomenal success and demand for champion sire Written Tycoon, the coming breeding season is going to be the busiest season yet at Woodside. Dual Group 1 winning stallion Zoustar is back at his Victorian base following his shuttle season to Widden. Additionally Woodside is welcoming Written Tycoon’s highest ever rated son, Rich Enuff, to his Victorian home for the first time. Matt Tillett, head of Bloodstock and Sales at Woodside Park, couldn’t speak highly enough of the popular stallion Zoustar. In his third season at stud, Zoustar covered 180 mares at Widden last season, bringing his three season aggregate to more than 500 mares. “Trainers and other buyers have certainly backed him by paying big dollars at the yearling sales this year,” Matt said. “More than 60 yearlings have gone through the sales ring, with an average of just over $200,000, more than five times his first season service fee. “Off the back of these sales results every leading breeder I have spoken to wants to reserve a couple of nominations. “With first season sires it can be tough without success yet on the track, but they are all happy to back up with Zoustar as they are just such amazing types, and great movers. Zoustar is the best son of Champion Sire Northern Meteor having performed at the highest level at two and then backing that up with wins as a three-year-old in the Group 1 ATC Golden Rose and Group 1 VRC Coolmore Stud Stakes. Rich Enuff is Written Tycoon’s highest rated, best-looking son. Returning from his first season at Glenlogan Park Stud, he had great support from key Queensland breeders with a very nice book of fast, city-winning mares. “Written Tycoon went to another level after standing for only a single year in Queensland. 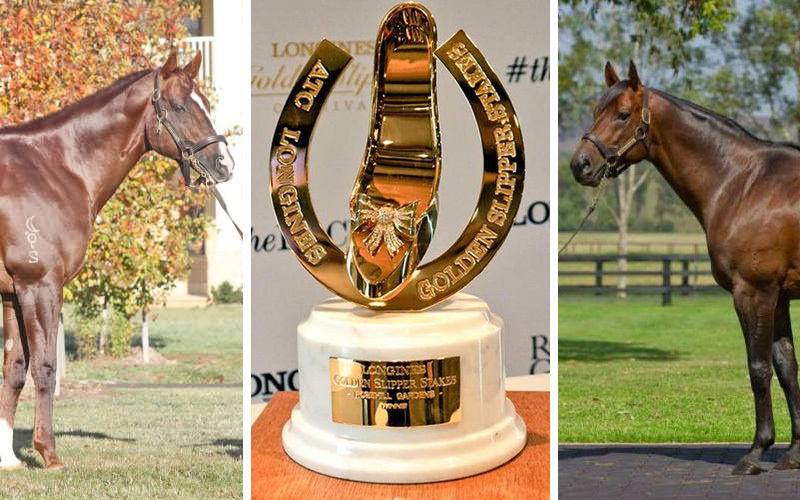 That year of coverings produced champions Capitalist, Winning Rupert and Luna Rossa among others. Rich Enuff had the opportunity to cover a similar group of mares while in Queensland,” Matt said. 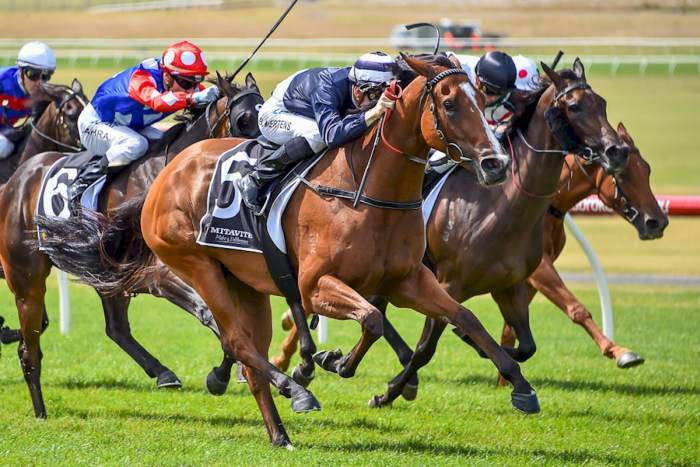 “Victorian breeders can now breed off the back off this crop so, when they are selling their yearlings, the first crop from Queensland will be up and running in the plethora of the Sunshine State’s lucrative juvenile races. Rich Enuff burst onto the scene as a three-year-old winning the Group 2 Danehill Stakes down the famous straight six at Flemington. He still the holds the record time for a three year old colt at the track over the 1200 metre distance. That performance of the Ken Keys trained colt was followed by a win in the Group 3 Caulfield Guineas Prelude over 1400 metres and then a gallant runners-up effort in the Group 1 Caulfield Guineas. Zoustar will stand at the same fee as last season, $44,000 (inc gst) while Rich Enuff will also stand at the same fee as last season, $13,750 (inc gst) ). Written Tycoon’s fee is yet to be announced. For any bloodstock enquiries or nominations Matt Tillett can be contacted on 0423074249. It was Group 1 success yet again for Nagambie’s Gilgai Farm, when the Ciaron Maher trained Jameka produced an outstanding performance to destroy her rivals in the BMW at Rosehill. The win was part of the Victorian breeding industry’s monopoly of Group 1 winners at Rosehill on Saturday with the Rosemont bred Montoya’s Secret winning the Vinery Stud Stakes. They represent Group 1 wins number 12 and 13 by Victorian bred horses during this current racing season. 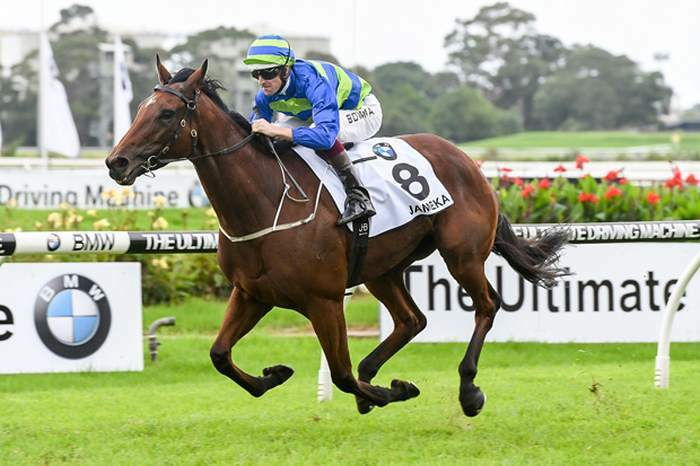 Any queries as to whether Jameka would handle the heavy conditions were dismissed as the Caulfield Cup winner proved she was a class above her rivals in the $1.5 million weight-for-age contest. “She made my job easy, I just had to keep her happy, keep her in rhythm,” said winning jockey Hugh Bowman. The $4 million Queen Elizabeth Stakes in one option for the star mare but a run in the Queen Elizabeth II Cup (2000m) in Hong Kong on April 30 and a trip to Europe are also being considered. Regardless of her next move, Jameka, now a three-time Group 1 winner with earnings of $4,872,925, has once again demonstrated the skill of Gilgai principal, Rick Jamieson, is producing a superstar. She won the Group 2 VRC Sires Produce Stakes as a two-year-old, the VRC Oaks at three and, as a four-year-old she already has victories Caulfield Cup, and BMW Stakes. The rare Caulfield Cup – BMW (Tancred Stakes) double has been achieved only three times in the past by Hayai (1984), Might And Power (1998) and Ethereal (2002). Jameka was purchased from the Gilgai Farm draft for $130,000 at the 2014 Inglis Premier Yearling Sale by her trainer. She is a half-sister to Magic Millions 2yo Classic runner-up Nikitas (Snitzel) and is one of three winners from as many foals to reach the track for General Nediym mare Mine Game, a winning half-sister to Group 1 STC Canterbury Guineas winner Jymcarew. Mine Game has a yearling filly by Shamus Award and returned to Myboycharlie (Ire) at Vinery Stud last spring. Kentucky Derby for Helmet’s star son? Thunder Snow, the outstanding son of Darley sire Helmet added more prestige to his impressive CV on the weekend by winning the US$2 million Group 2 UAE Derby over 1900 metres. This follows his Group 1 win in France last year as a two-year-old. 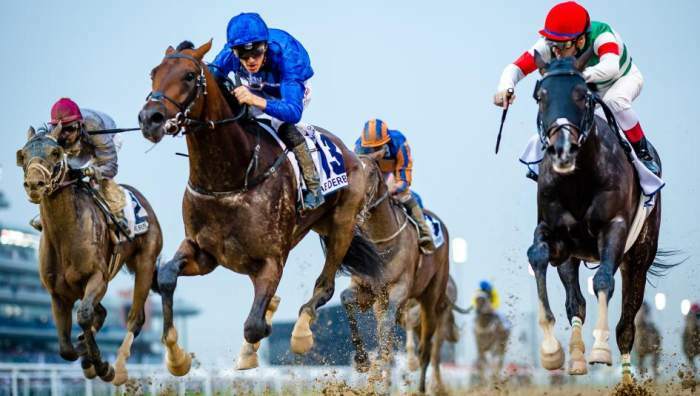 Thunder Snow won the UAE Derby with a late rally to overwhelm classy Japanese colt Epicharis. The win, which was on the dirt track at Meydan, has brought about strong speculation the colt could be targeted at the Kentucky Derby in May. In international betting markets, he is among the four or five most fancied chances for the prestigious race at Churchill Downs. No doubt, a decision on the colt’s northern hemisphere targets will be made by his owner His Highness Sheikh Mohammed bin Rashid Al Maktoum, trainer Saeed Bin Suroor and the Godolphin team over coming weeks. Interestingly, a win in the Kentucky Derby would be the first for a horse by an Australian bred sire in 64 years. The 1953 Derby was won by Dark Star, a son of the Australian bred stallion Royal Gem. Coincidentally, Royal Gem, like Darley’s Northwood Park based Helmet, also won the Group 1 Caulfield Guineas. Darley’s Victorian General Manager Andy Makiv said the win is exciting for the stallion as it shows the quality he is able to produce. “Helmet has proven very quickly through the deeds of Thunder Snow, who is from his first northern hemisphere crop, that he is capable of siring an elite horse.,” said Makiv. The Godolphin homebred Thunder Snow won on his racecourse debut last year and has raced solely in Group company ever since. He finished second in both the Group 2 Vintage and Group 2 Champagne Stakes before romping to a five-length victory in the Group 1 Criterium International at Saint-Cloud last October. The colt is one of four stakes-winning foals of Eastern Joy, a mare by Darley Stud’s Group 1 Royal Ascot winner Dubai Destination. Greta West can do no wrong! The equine products of Greta West Stud can do little wrong of late. Farm raised Le Romain won at Group 1 level in Sydney earlier this month, farm-sired Sirbible helped win a $50,000 bonus for his trainer on Friday and an unbeaten two-year-old farm bred filly is lighting it up in Adelaide. Spiritual Girl, a daughter of Keep The Faith, is bang on track for the Listed Dequetteville Stakes (1000m) in a fortnight after a brilliant return win at Morphettville on Saturday. Trainer Will Clarken produced her first-up with 58kg and she made light work of the weight while Jamie Kah steered in front. At her only other start in October, she had served notice as a new talent while winning with ease at Morphettville. “I sent her straight out for the bigger races coming up in the next month or two,” Clarken said. Clarken is also keen to target VOBIS Gold Premier Series Races across the border after the Dequetteville. They include the $180,000 VOBIS Gold Ingot at Caulfield on April 22 and $100,000 VOBIS Gold Strike at Warrnambool on May 2. 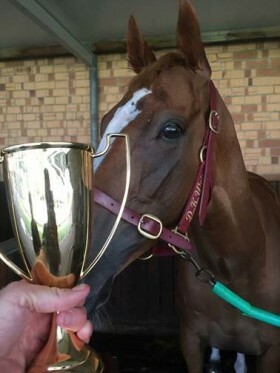 He has also nominated her for this Saturday’s $280,000 VOBIS Gold Rush at Bendigo. Spiritual Girl’s sire Keep The Faith stands at Greta West Stud and the filly was bred, raised and sold by owners Laurie and John McCarthy. Their mare Royal Jama (Royal Academy) had already foaled Keep The Faith’s Adelaide winners Unfaithfully and Fear The Faith. 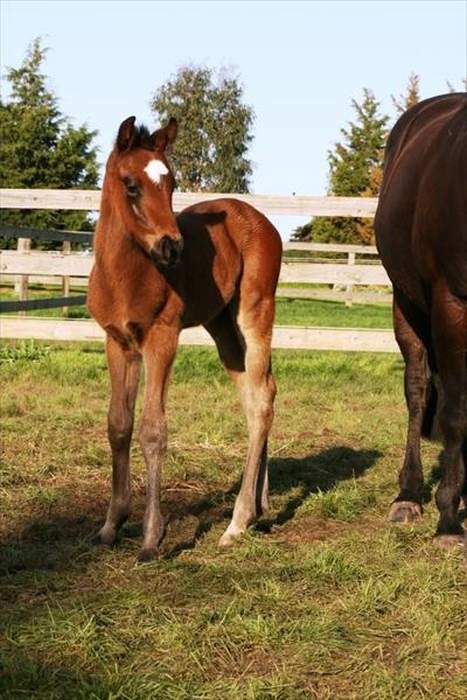 Royal Jama has a colt on the ground by Group 1 Caulfield Guineas winner God’s Own who saw service at Eliza Park (in conjunction with Yallambee Stud) and Greta West. 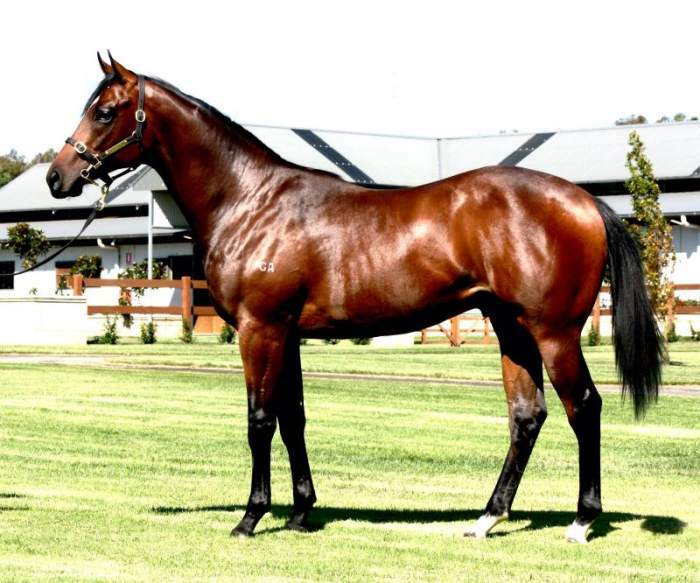 Sick sprinter Sirbible, bred by Yallambee, has been one of the best by God’s Own. He was beaten in a blanket finish to the final heat of the Inglis 55 Second Challenge at Moonee Valley on Friday but still won the series after a clocking 54.84s in November. Sirbible’s Colac based trainer Russell Bell said he will put the $50,000 Inglis sale credit to good use at an Inglis sale this year. God’s Own sired Sirbible from No Fable (Hemingway) who won at Moe and Yarra Glen for owner-breeder Tim Stewart. She retired to Yallambee Stud and her only other foal has been God’s Own mare Alaskan Wolf, a progressive winner at Gosford and the Gold Coast last year. Greta West Stud continued a successful weekend when Entre Nous claimed the $50,000 Benalla Cup on Saturday. The 6yo gelding has now won 9 races and over $333,000 in prizemoney and VOBIS bonuses. Entre Nous is by Greta West stalwart King Of Prussia and is trained by Gerald Egan for a syndicate managed by the gelding’s Wodonga breeder Frank Elkington. He won his maiden at Benalla in November 2014 and the Euroa Cup at the same track in 2015. King Of Prussia sprinter Prussian Vixen just missed more black-type in capital letters when nailed a nose in the Listed Hareeba Stakes at Mornington on Saturday. The Michael Mehegan bred and trained mare was a front-running winner of the Group 3 Bellmaine Stakes at Caulfield last month and she stuck to the script again only to be bloused out by Mick Price’s Bassett. Woodside Park Stud is home to champion stallion Written Tycoon, as well as dual Group One winner Zoustar and they are looking forward to showing off their homebred progeny at this year’s Inglis Easter Yearling Sale. Matt Tillett, Woodside Park Stud’s Bloodstock and Sales Manager, is proud of the select group of yearlings they are presenting as part of their debut draft at the prestigious Easter sale. “The five yearlings we have selected are a true representation of the attributes our stallions produce, and we have a filly and a colt from both Written Tycoon and Zoustar in our draft to demonstrate this,” he said. “Over recent years, we have purchased several high quality European mares brought overseas to send to our colonial bred sprinting sires. 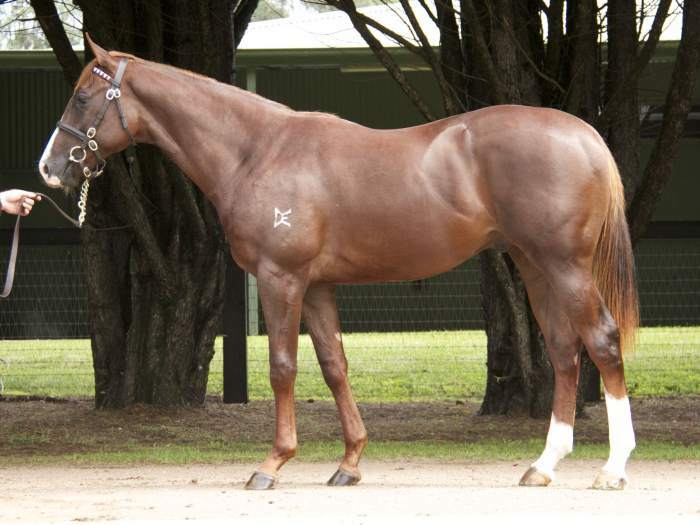 Lot 222 – Written Tycoon bay colt from the Stratum mare Manzanilla. Lot 324 – Zoustar chestnut colt from the Storm Cat mare Ryzhkina. “An up and running family, Simply the Best is stakes placed. Half sister to Shaquille and dam of Best Yet To Come, a Listed winner in the BRC Princess Stakes, and Simply Put a four-time winner with a second in the Group 3 MRC Mannerism Stakes. The first lot to go under the hammer at Inglis’ Newmarket complex for Woodside is lot 18, a bay colt by Lope De Vega from the Rock of Gibraltar mare Zarzuela (Ire) who is a half sister to Glass Harmonium. The Spendthrift Farm brand is well known and established in North America having achieved a great deal in that continent. But they will undertake a first ‘Downunder’ next week when its Australian offshoot, Spendthrift Australia, sells a yearling through the Inglis Easter Yearling Sale. They have been significant buyers at the sale in recent years, but this will be the inaugural Spendthrift transaction from the other side of the ledger. Spendthrift Australia, based in the Macedon Ranges, has been rapidly growing as a stallion station and broodmare farm since they took over Yallambee Farm in 2015. 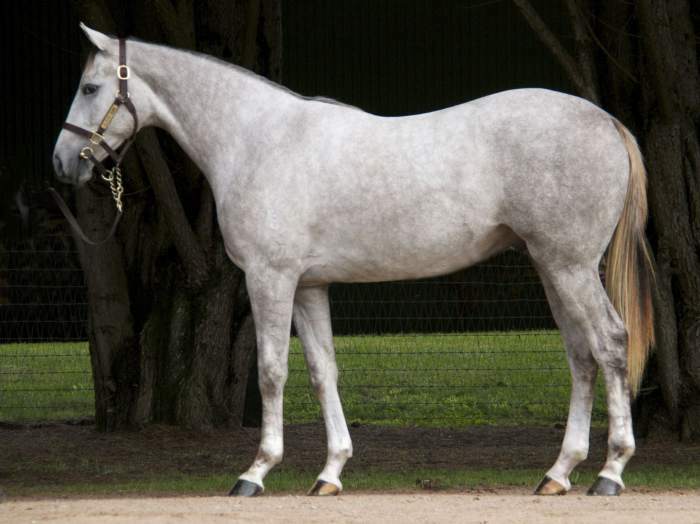 Through the Milburn Creek draft they are offering one of only three yearlings by star sire Tapit on offer at the Easter Sale, an outstanding grey colt (Lot 122). Tapit has emerged as one of the most influential and breed-shaping stallions, with 21 Group 1 winners, 20 yearlings to bring over US$1 million at auction, and earners of over US$110 million on the racetrack. Spendthrift’s impressive grey yearling colt is from a Group winning female family. His dam, the Harlan’s Holiday mare Euphrosyne, was a Group 3 winner herself in America in the Oaklawn Park Honeybee Stakes. His grand dam is Three Graces is a listed winner, from the family of Private Horde, with his great grand dam a Group 1 winner of the Monmouth Oaks. 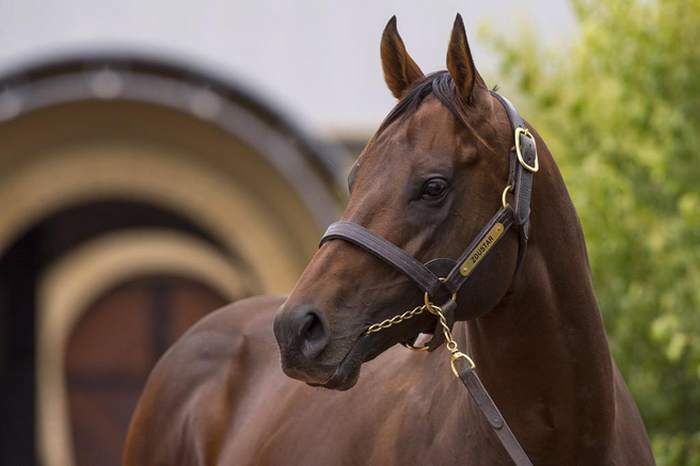 “In the mould of his champion sire, this yearling is well grown with a good shoulder, is well set behind and has a lovely walk,” Spendthrift Australia’s General Manager Gary Cuddy said. “Well travelled, he was born at Spendthrift’s Kentucky Farm in southern hemisphere time where he enjoyed the warm climate, before arriving in Australia last October. Next year will be an even bigger milestone for Spendthrift Australia with the progeny of their resident shuttle sires to make their yearling sales ring debuts. “Following the successful formula adopted in America, Spendthrift will spread their yearlings out among other farms rather than have their own draft,” Cuddy said. What Tyabb’s Eldon Park lacks in size and profile is made up for in quality. And that quality will be reflected at next week’s Inglis Easter Yearling Sale with a farm bred Written Tycoon colt set to raise eyebrows at the historic Newmarket sales complex. Offered through the Milburn Creek draft, Lot 338 is a stunning chestnut colt by the champion sire Written Tycoon from the Elusive Quality (USA) mare Shabtis. This is just the second foal of Shabtis, with her first foal, the filly Take Pride (Reward for Effort) winning the Group 3 MVRC Champagne Stakes. 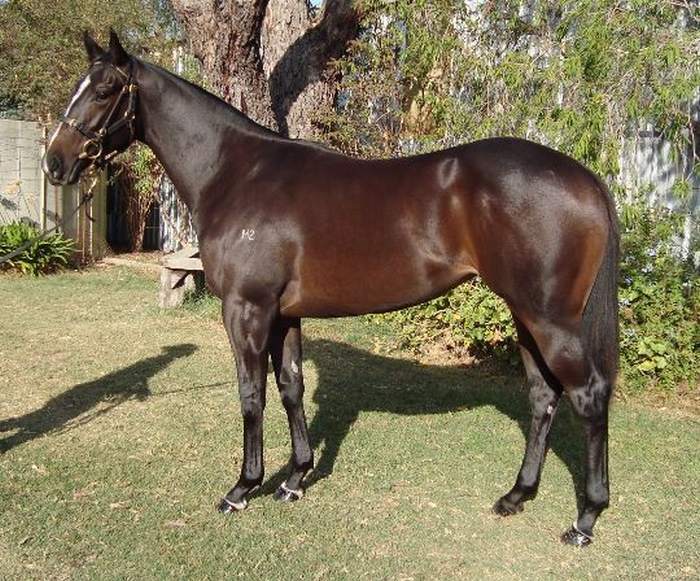 The dam herself was a handy horse winning over 1000 metres and comes from a sparkling family. Shabtis is a half sister to five-time Group 1 winner Mummify and the black-type performer Medusa’s Miss. She is also a sister to Byzantine, the dam of group 3 winner Ottoman and stakes placed Nemrud. Eldon Park’s Donald Byrne sold the outstanding colt from the paddock a few months ago. “He was just a beautiful, athletic type, well grown, a lovely looking horse. He has had a healthy, injury free upbringing. “Unfortunately, being older, I sell when I can now, but he is sure to make a good price, the Written Tycoon’s can do no wrong. The colt has shared Eldon Park’s quality pasture with Byrne’s small select group of mares. Eldon Park also provides agistment to Christoph Bruechert’s Bombora Downs operation and Robert Crabtree’s Dorrington Farm. Three-time Group 1 winner Frosted, the highest-rated son of Champion American stallion Tapit, will join the Darley stallion roster at Northwood Park, Victoria this year. 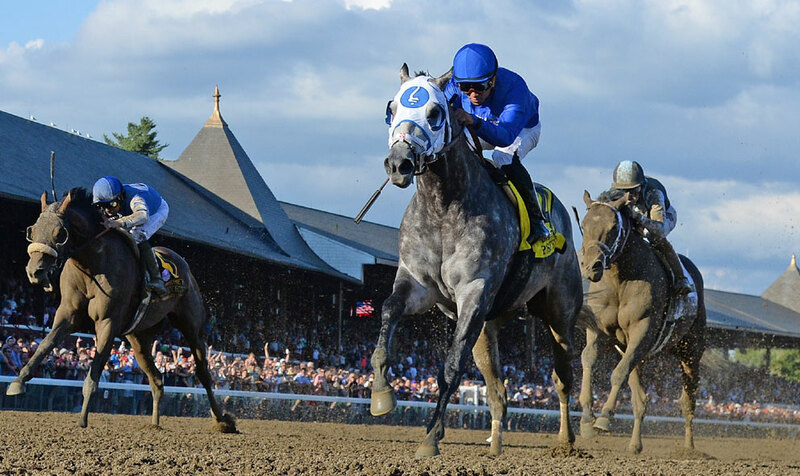 Racing in the Godolphin blue, Frosted recorded arguably the most impressive win on an American racetrack last year when he claimed the coveted Group 1 Metropolitan Handicap (1600m) at Belmont Park by an astounding 14 and a quarter lengths in a Stakes record time of 1:32.73. In his following start, he claimed the Group 1 Whitney Handicap, a race previously won by leading international sire and fellow Darley stallion Medaglia d’Oro. 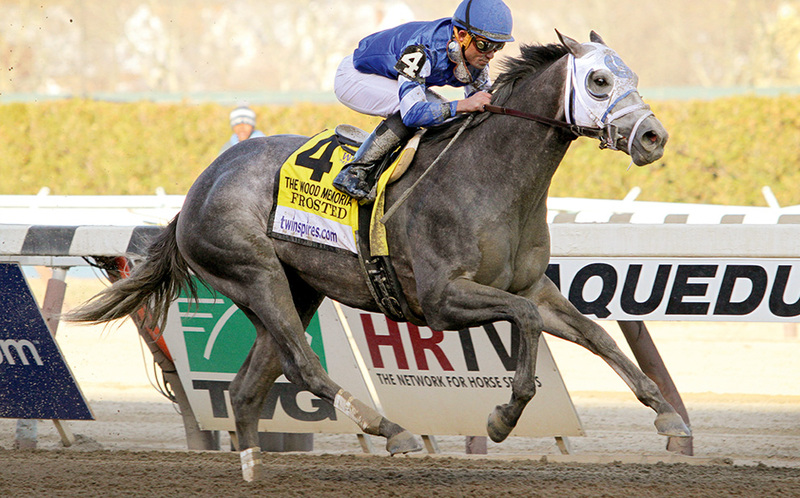 Frosted had already enjoyed Group 1 success at three, emulating his sire Tapit when winning the Group 1 Wood Memorial, and also landed the Group 2 Pennsylvania Derby before finding only American Pharoah too good in the Group 1 Belmont Stakes. “Frosted’s Group 1 wins came in races won by some of the greats. The names you see in pedigrees. He is the best son of a Champion sire and from a top female line. He is a top-class prospect for Victorians. A service fee for Frosted will be announced at a later date. Holler, the Group 1 winning son of Commands, has also been previously announced as a new addition to the Darley Northwood stallion roster this coming breeding season. She Will Reign’s victory in the Golden Slipper could not have been more perfect for Blue Gum Farm and is a massive fillip for the broader Victorian breeding industry. The Euroa operation announced in February that the now Slipper winner’s sire, Manhattan Rain, will relocate south to stand on the Blue Gum roster starting in 2017. It means the sires of the past two Golden Slippers, Manhattan Rain and Written Tycoon (with Capitalist), are now both based in Victoria. Renowned racing scribe and breeding student Danny Power tweeted on the weekend that this hadn’t occurred since the days of Showdown and Century in the 1970s. Blue Gum Farm’s Phillip Campbell said the impressive Manhattan Rain has been at the farm now for a month and has settled in beautifully. “His bookings were already very strong before the result on Saturday, but they are exaggerated further now after She Will Reign’s success,” Campbell said. “With already four crops of racing age, two Group 1 winners and only being eleven years old, he has a very big future ahead of him. Manhattan Rain is a Group 1 winning half-brother to three-time Champion Sire Redoute’s Choice. His champion sire, Encosta De Lago made, made his name at Blue Gum before moving to Coolmore Stud in the Hunter Valley. Manhattan Rain has already sired the winners of more than $10 million in prizemoney and that figure is growing rapidly. Among his sire successes have been numerous Group and/or Stakes winners. As well as the Golden Slipper winner, he has sired the Group 2 winning two year old Scarlet Rain and Group 2 winning mare Wild Rain. And, in January, Whisky Baron became his sire’s first Group 1 winner when taking out South Africa’s most prestigious race, the Kenilworth Sun Met. “We always rated him highly then and we rate him even more highly now. I believe that he is a fantastic fit for the Victorian breeding industry now as there is simply no guess work involved,” Campbell said. 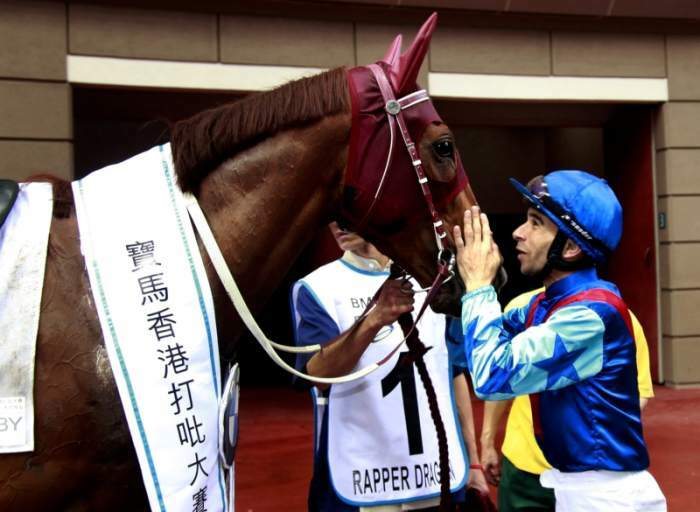 Rapper Dragon won an historic third leg of the Four-Year-Old triple crown in Hong Kong at Sha Tin on Sunday saluting in the 140th running of the HK$18 million Group 1 BMW Hong Kong Derby (2000m). The John Moore trained Rapper Dragon, ridden by the brilliant Joao Moreira, is a son of Darley Northwood shuttle sire Street Boss who has been producing a steady stream of Group 1 winners around the world. Before Rapper Dragon, no horse had won all three legs of Hong Kong’s Four-Year-Old Classic Series. Last year, the Victorian bred Sun Jewellery won the first two legs, the Hong Kong Classic Mile (1600m) and Hong Kong Classic Cup (1800m), but couldn’t snare the Derby. “This is a really classy animal, he’s done everything right, he progressed through the classes, today was the grand final and we won it,” trainer Moore said. Moore is now likely to target his star four year old at the Group 1 Champions Mile at Sha Tin on 7 May or perhaps the Group 1 Audemars Piguet QEII Cup over 2000 metres a week earlier. “Rapper Dragon’s got versatility so I’m sure I can freshen him up and bring him back to the mile – he’s got the gate speed, so I’m sure he’d be a live chance in the Champions Mile,” Moore said. Bred by the late Henry Cojuangco at Gooree Stud, Rapper Dragon joined the John Moore stable after beginning his career with Gai Waterhouse. This Australian career included seconds in the Group 1 ATC Champagne Stakes and Group 3 ATC Schweppervescence Quality. A half-brother to stakes-placed Swing Vote, he is the best of three winners from Danehill Dancer (Ire) mare Swing Dance, a sibling to Group 1 winner (and now Rosemont Stud broodmare) Amanpour and stakes-winners Turf Express and Sports Edition (now standing at stud at Wyndholm Park). Street Boss is also the sire a slew of other Group 1 winners including 2016 Newmarket Handicap winner The Quarterback, 2016 Kentucky Oaks winner Cathryn Sophia, and American Oaks Decked Out. Classy Street Boss mare, the Ciaron Maher Group 3 winning Petits Filous, returns to racing this weekend after a long spell due to bone chip surgery. She is expected to line up in the Inglis 55 Second Challenge over 955 metres at Moonee Valley. Dual Group 1 winning stallion and future Victorian stallion added the Group 2 Blamey Stakes to his resume with an outstanding win at over the mile Flemingotn on Saturday. The gorgeous son of Teofilo annihilated his opposition winning by over three lengths with Mark Zahra in the saddle. “He is one of my favourites for sure, I have ridden two Group 1s on him and a Group 2 now,” said Zahra. The mile at Flemington has been a happy hunting ground for the imposing chestnut – having won the Group 1 Australian Guineas at three-years-old last year and the Group 1 Makybe Diva Stakes at four over the same track and distance in the Spring. Reigning Champion Victorian trainer Darren Weir is convinced his million-dollar-plus earner has what it takes to make it as a sire. “He was brilliant today and he is going to make it as a very good stallion,” said Weir. David Grant, Operations Manager at Sun Stud certainly agrees with Weir. ‘Being a Flemington track specialist over a mile, it was his perfect distance and he won very well. “A lot of good breeders and judges rate the mile as the best distance for a future stallion as it gives more flexibility to the mares they send. “If their mare has speed then Palentino can give her distance to stretch over 1200 metres or 1400 metres and if the mare can stay, he will inject some speed into her. “He will be the only stallion to win both the Group 1 Makybe Diva Stakes (formerly the Craiglee Stakes) and the Group 1 Australian Guineas since the immortal champion sire Zabeel. “A flashy, impressive type he topped his sale as a yearling so those looks will certainly appeal to breeders. He has also been very sound all the way through, an underrated quality I believe and he has trained on very well. Every preparation he has won a group race.” Grant said. Palentino now has a few options to consider with either a trip to Sydney for the prestigious Doncaster Mile before heading to stud or racing on for another year. Sun Stud’s Managing Director, Danielle Cheng, said an international target was also not ruled out. “There are a lot of reasons to send Palentino to stud this year but equally, some compelling reasons to keep him racing,” Cheng said. The Blamey Stakes victory will no doubt elevate Palentino back to the top of the four-year-old Timeform Ratings in Australia. Among all aged horses, he may be only bettered by superstars Winx and Hartnell. For as long as she can remember Kristen Manning has been fascinated by thoroughbred pedigrees and a reward for years of extensive study and research came this week in the shape of two wins and a placegetter in the space of two days. As breeder and managing owner of exciting mare Quilate (Bramshaw), Manning was delighted with the four-year-old’s fast finishing 1 1/4 length victory at Sandown. It was a second metropolitan victory for the Michael Kent trained bay who has black-type aspirations having been beaten only 1.95 lengths in her previous start in the Group 3 Frances Tressady Stakes at Flemington. 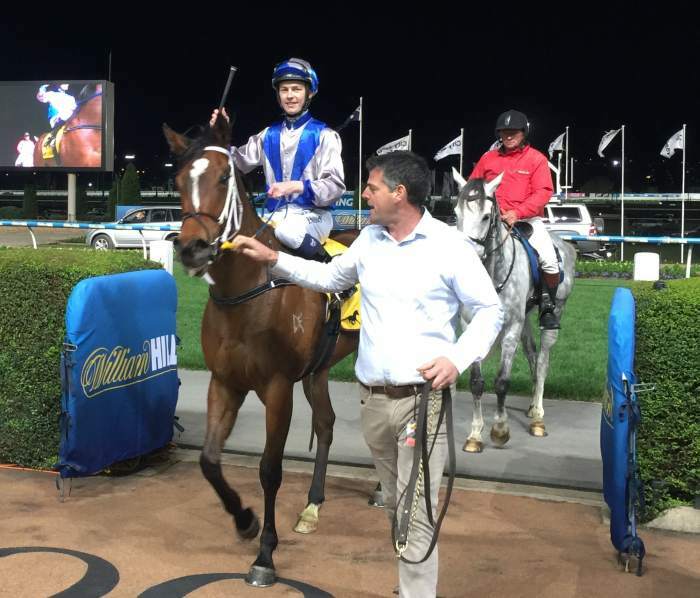 “I am delighted for Quilate who is now putting it altogether having always shown a lot of promise,” Manning said. Giving Manning an even bigger thrill was the fact that she is also co-breeder with a group of friends of Ajuda (Astronomer Royal) who followed up a recent Sandown victory with a third to Quilate. 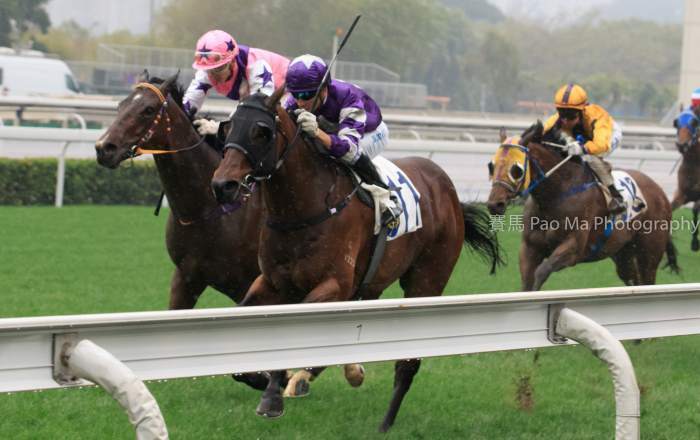 It was double rewards came for Victoria’s Rosemont Stud at the Hong Kong Derby race meeting on Sunday. It kicked off with the win of farm bred three year old Strathclyde in race four. Not only was he was bred by Rosemont, the gelding is by resident sire Toorak Toff. And then Rapper Dragon won the Hong Kong Derby which was a residual bonanza for the Geelong region stud. Anthony Mithen and the team at Gnarwarre purchased, in 2015, two mares very closely related to the Derby winner. Strathclyde was a timely winner for Rosemont having been a graduate of their Inglis Easter draft of 2015. 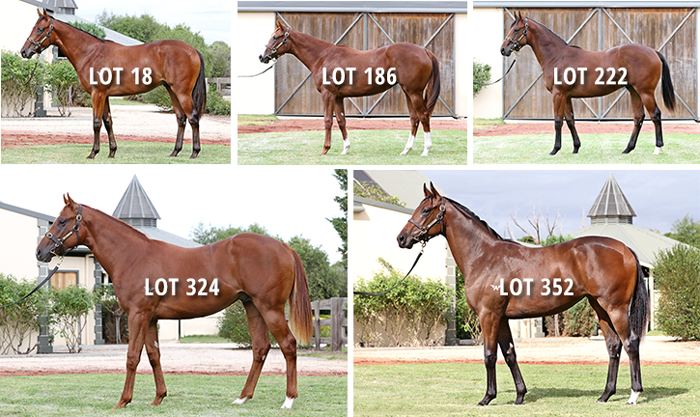 This year’s Rosemont Easter draft of nine yearlings is in the final stages of sale preparation before making the journey north. Sunday’s winner is also the highest priced yearling by Toorak Toff having been bought by his Hong Kong trainer Tony Millard for $300,000. Mithen said the Strathclyde was extremely well received at the 2015 sale being a sibling to the Rosemont bred Group 1 winner Alboran Sea (Rock of Gibraltar). “I remember being quite emotional after he was sold at such a good price. This was after all a yearling out of our own mare and by our own stallion. “Tony Millard was quite enamoured with the yearling before the sale, but really didn’t know much about the sire who was presenting just his first crop of yearlings that sales season. “But Tony has been a regular inspector of Rosemont’s drafts ever since! “Tony was over for the Premier Sale a few weeks ago and indicated he was confused with Strathclyde. “He was showing enormous ability and trialing extremely well but just couldn’t put it all together raceday. Rosemont bought the American bred dam Lady’s Light (Toolighttoquit) for just $20,000 in 2011. On the subject of the upcoming Inglis Easter Yearling Sale, Mithen is brimming with excitement and expectation. “It is the nicest bunch of horses I have taken to any sale,” he said. “It has all the hallmarks of a high end, boutique draft of high quality horses with a broad range of sires and pedigrees. “I think our wow factor yearling is our Redoute’s Choice colt out Catshaan. He is actually the only yearling in the sale with two Australian Group 1 winning siblings (Abbey Marie and Absolutely). Riding on the back of encouraging results at Magic Millions on the Gold Coast and the Inglis Premier Yearling Sale, Three Bridges Thoroughbreds young gun Unencumbered finished as the leading first season sire at the Adelaide Magic Millions Yearling Sale Book One. The Magic Millions 2YO Classic winner in 2014, Unencumbered had four yearlings sell in Adelaide at an average $71,875 with a colt from Rock of Ages his top seller at $85,000. Unencumbered yearlings averaged more than some of his higher profile stallion competitors including Written Tycoon, Zoustar and Epaulette. The Rock of Ages colt was consigned by Euroa’s Noor Elaine Farm and bought by Jarrod McLean who also trains the handy three-year-old sibling My Girl Chilly. 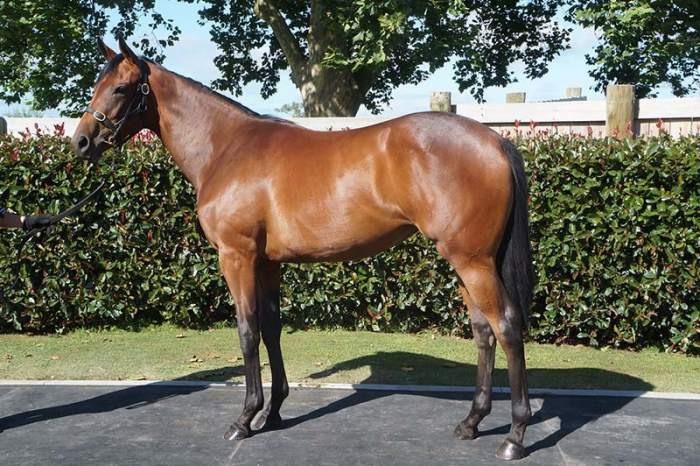 Noor Elaine Farm also sold a colt from Curzon Dancer for $80,000 to Pinhook Bloodstock/ Tim Scales, while a colt from Sadler’s Wish offered by Avenel’s Hollylodge Thoroughbreds also fetched $80,000 when knocked down to R & E Bloodstock. Three Bridges Thoroughbreds’ Toby Liston is really excited about what the future holds for their promising young stallion. “The most pleasing part of the sales is the quality homes and the quality judges that have purchased them. “They are headed to the stables of Hayes & Dabernig, Bjorn Baker, and Darren Weir so we know they are going to get every chance to reach their potential when they hit the track. “Unencumbered is fast, early, tough and colonial and that’s what all the best sires are in the country are at the moment.” Liston said. Unencumbered was also the most profitable sire at this sale returning 5.4 times service fee of $13,500 providing a great result for his supporters. Official Australian Stud Book statistics released last week detailing the most popular sires of 2016 showed Unencumbered as one of the most popular sires in Victoria last year and one of Australia’s most prolific third season sires in the breeding barn. Covering 142 mares in his third season, Unencumbered improved on his figures of the past two years when he served 119 mares and then 126. He covered the same number of mares as high profile shuttler Toronado with the only sires to cover more mares in Victoria being Written Tycoon, Magnus and Reward for Effort. The VOBIS King Burning Front! 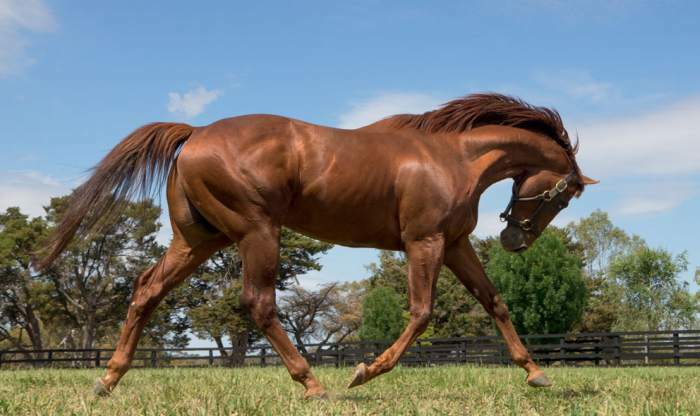 There is just no stopping the bold chestnut Burning Front (Primus) who, at Morphettville on Adelaide Cup Day, added a third stakes win to his already impressive record. The ‘iron horse’, as he is commonly (and aptly) described as, is a step away from becoming all-time highest earning VOBIS (Victorian Owners & Breeders Incentive Scheme) earner. Sent out an odds-on favourite in the Listed C.S. Hayes Memorial, the Darren Weir trained six-year-old travelled sweetly as always for Damian Lane who had him prominent throughout. Cruising at the turn, the son of Primus hit the lead early in the straight and, when briefly challenged on his inside, he fought hard and kicked hard – soft to the line recording the 16th success of his remarkable 45 start career. The winner of his last five including a second Group 3 Carlyon Cup (in which he defeated subsequent Australian Cup winner Humidor), Burning Front has amassed over $940,000 in stakes – an amount usually only won by Group One performers. More than $323,000 of Burning Front’s winnings have come from VOBIS bonuses and VOBIS Gold prizemoney, making him not only this season’s leading VOBIS horse, but also the second most successful bonus earning horse of all time! Former stablemate, now Swettenham Stud sire Trust In A Gust is the leading all-time earner ($410,700), but Burning Front could surpass this on April 22nd. That date is the Victorian Owners and Breeders Raceday at Caulfield with six VOBIS Gold Premier Races. Burning Front is no doubt being targeted at the $280,000 VOBIS Gold Heath (2000m) or perhaps the $280,000 VOBIS Gold Mile. A win in either lucrative race would give him the leading VOBIS earner’s tag. Prior to taking some of Adelaide’s money, Burning Front had won the $100,000 VOBIS Gold Eldorado at Wangaratta – racing clear by four lengths under the steadier of 60kg having dropped back from a mile to 1300m. Burning Front’s sire Primus, who is also owned by Justin Lovatt, stands at Liverpool Farm near Euroa. The VOBIS star’s dam, She’s A Knockout (Kingston Rule), has produced Flemington winner Apollo Creed (Primus) and five-time winner Cajo Kellila (Mister C). Two filly siblings in 3yo Casino Star (Casino Prince) and 2yo Sekali (Written Tycoon) have made their debuts in recent weeks. Additonally, She’s A Knockout has a colt foal by Primus and was covered by Chatswood Stud’s champion sire Reward For Effort last spring. Written Tycoon, Magnus and Reward for Effort have been revealed as the most popular Victorian sires among broodmare owners for the 2016 breeding season. The Australian Stud Book has released the official figures for covers by stallions during the 2016 southern hemisphere breeding season. While Woodside Park Stud’s superstar sire Written Tycoon was at the top of the charts with 224 mares covered, there were a number of ‘quiet achievers’ and ‘big movers’ among the Victorian stallion ranks. Sun Stud’s Magnus had a career high book of 177 mares covered off the back of the performances of dual Group 1 winner Malaguerra among other black-type winning progeny. Victoria’s Champion Second Season Sire on the track in 2015/2016, Chatswood’s Reward for Effort, remained a highly popular stallion with 173 mares covered. 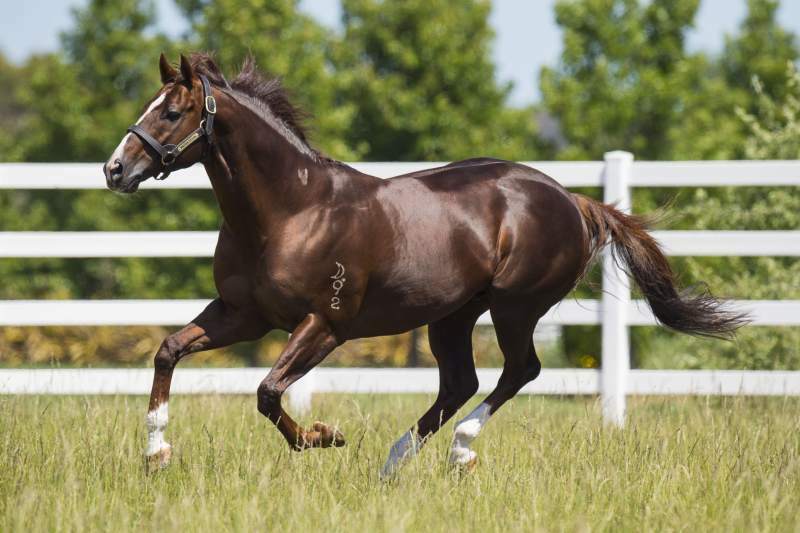 Al Shaqab stallion Toronado, standing at Swettenham Stud, followed up a leading first season at stud in Australia in 2015 with another large book of mares in 2016 (142). Rosemont Stud’s blue-blooded son of Medaglia D’oro, Nostradamus, took the title for most popular freshman sire with 109 mares covered with next best being Darley’s Night of Thunder (Dubawi) and Sun Stud’s Ready for Victory (More Than Ready). The nominations team at Spendthrift Australia certainly earned their bikkies this past breeding season. All three of the farm’s stallions recorded large increases in mares covered from 2015 to 2016. Warrior’s Reward (Medaglia D’oro) covered 24 mares in his debut season in 2015 which increased to 116 last year. Similarly, Jimmy Creed (19 mares to 71) and Hampton Court (20 mares to 64) attracted significantly increased numbers of mares. Redente (Redoute’s Choice), standing at Benalla’s Riverbank Farm, has been the quiet achiever of the past two breeding seasons. The well-bred stallion went to stud unraced back in 2009. He covered an average 36 mares over his first six seasons. But through a degree of success on the track and hard work by the Riverbank crew, he has covered books of 83 and 101 the past two breeding seasons. 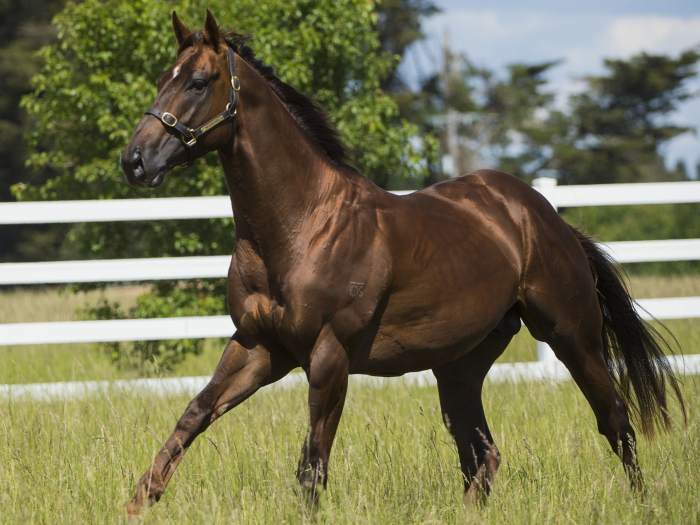 Sun Stud’s sire Squamosa (Not A Single Doubt) has had just the two runners on the track from his first crop, but both are already stakes placed. This impressive strike rate has obviously impressed broodmare owners with the sire recording, by far, his largest career book of mares last season (121). Also of note last breeding season was the rise of Rosemont Stud’s Starcraft (Soviet Star). The former Arrowfield stallion moved to Rosemont Stud in 2014. A modest book of 25 mares in 2015 was followed last year with 47 mares covered. No doubt the sire’s achievements in Hong Kong, where he is a Top 5 Sire (by earnings) this racing season, have grabbed the attention of breeders. Buyers will get their first chance to invest in weanlings and broodmares at next month’s Breeding Stock sales in Sydney, headlined by the inaugural Chairman’s Sale (Elite Breeding Prospects) and the time-honoured Inglis Australian Broodmare & Weanling Sale. Among the lots offered will be some star Victorian bred and sired weanlings along with a handful of prized broodmares offered by Victorian farms. A total of 89 Lots will be offered at The Chairman’s Sale Session II (Elite Breeding Prospects) at Newmarket on Friday April 7 from 5pm. A further 543 Lots will be offered over the three days of the Broodmare & Weanling Sale from April 10-12.the catalogue includes 137 weanlings, 34 race fillies and 372 broodmares. 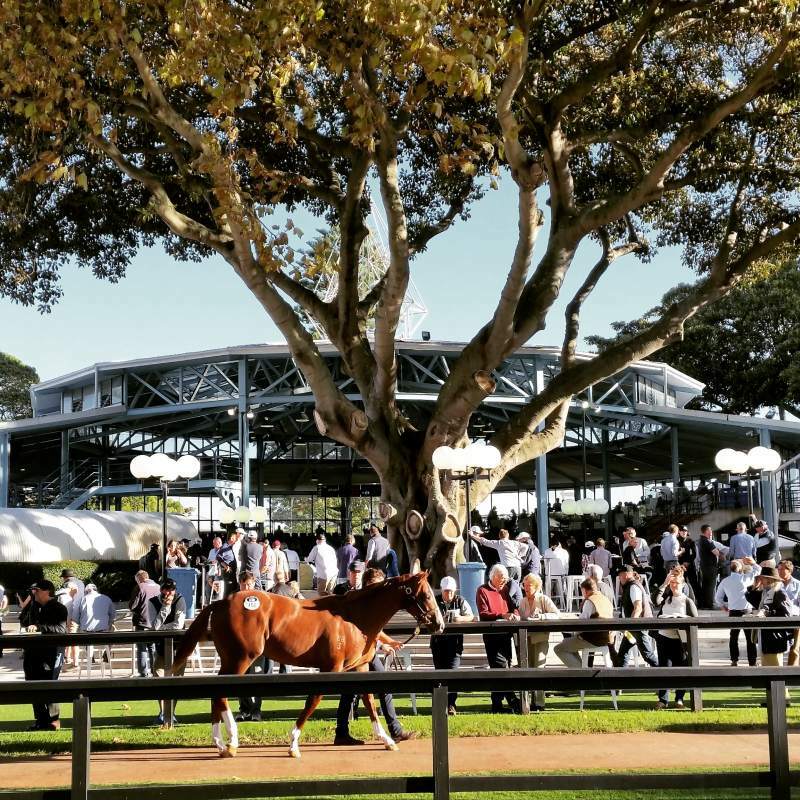 The two sales will be the final ever sales held at the historic Newmarket complex before Inglis makes the move to its new facilty at Warwick Farm. Three Bridges is set to make history offering a world-first ever lot through the sales ring by star Darley sire Brazen Beau. Blue Gum Farm is selling (as agent) Beauty World (Danehill Dancer), the dam of four stakes winners including recent Talindert Stakes 2yo winner Ducimus. He was the sale topper, at $700,000, of the 2016 Inglis Premier Yearling Sale. She is being offered in foal to champion sire Written Tycoon. Swettenham has catalogued multiple stakes winner Member’s Joy (Hussonet) for the Inglis Chairman’s Sale. Her first foal (by I Am Invincible) recently sold for $320,000 at Inglis Premier Sale. She is being sold in foal to Swettenham based sire Toronado. Bayles’ Yulong Park has four broodmare lots catalogued for the Inglis Chairman’s Sale including mares in foal (southern hemisphere time) to United Kingdom based super sires Frankel, Invincible Spirit and Golden Horn. Yulong is also putting on the market Flame of Sydney (Encosta De Lago), a stakes winning mare which has produced Hong Kong Group 2 winner Notlistenin’tome. She is in foal to Medaglia D’oro. Buckley’s Erinvale Thoroughbreds, Nagambie Hillside Thoroughbreds, Glenelg Park, Merrick North’s Kulani Park, Flinders’ Two Bays Farm are among other Victorian farms with drafts in one or both of the sale catalogues. “Year after year this sale provides investors with outstanding opportunities, be it for pinhooking weanlings to the following year’s yearling sales or for breeders looking to buy well related mares in foal to ta wide array of stallions,’’ D’Arcy said. Supplementary entries for the sale will be taken until Monday April 3.